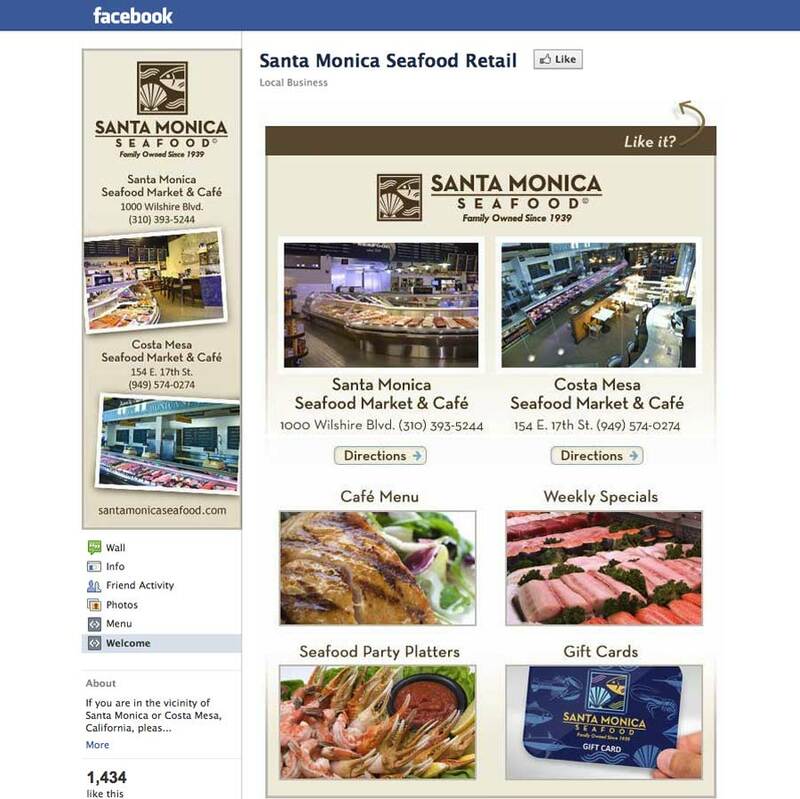 The Challenge: In the year since launching the Santa Monica Seafood corporate website, study of Google Analytic data clearly showed that retail pages to be consistently the most visited. 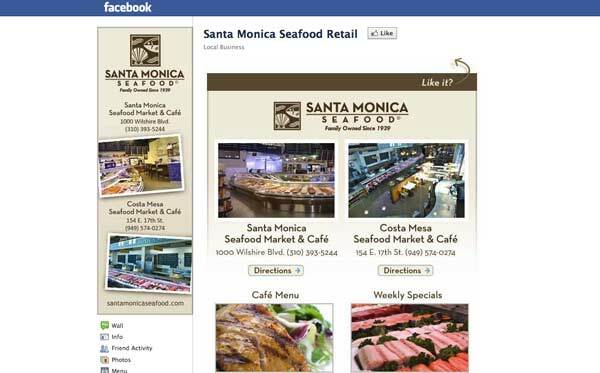 With a foodservice Facebook page already established, the client was ready to engage with their local customers with a customized Facebook page for their two retail stores. The Solution: We designed and created the page, with custom landing tabs for new visitors and also for the restaurant menus. We provide ongoing social media management for the page in support and conjunction with their staff.